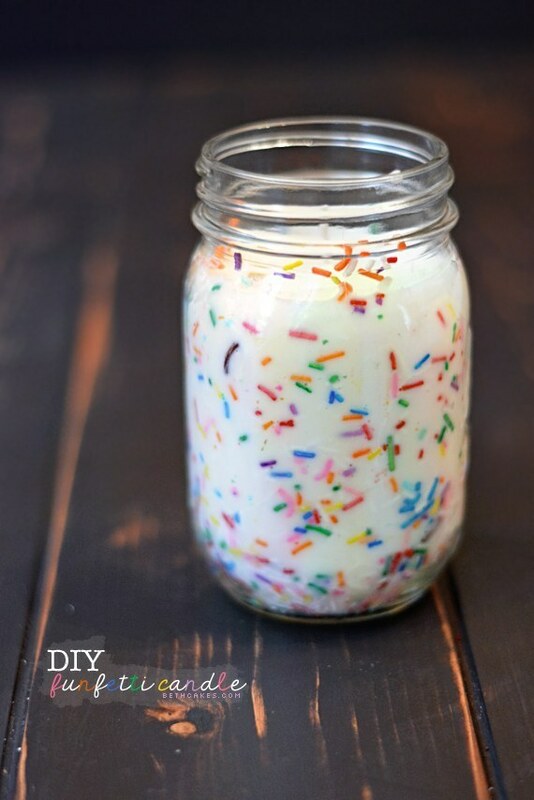 The hobby of candle making could be sort of addictive to most because it lets you truly express your creativity by experiencing with endless ideas – from the various colors, forms of wax, scents, shapes, containers, to embellishments that are so widely available for you to play with. 1. 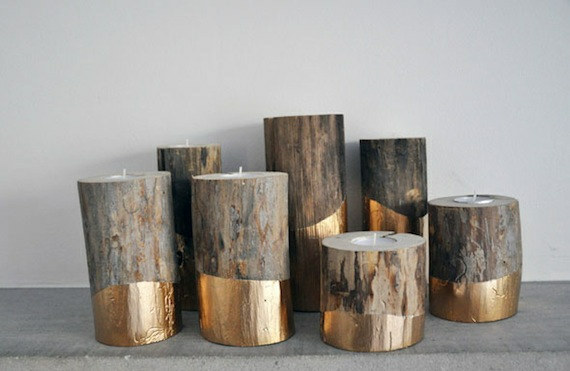 These gold-dipped log candle holders. Perfect for glamping. Here’s how you make them. 2. These pretty little teacups. 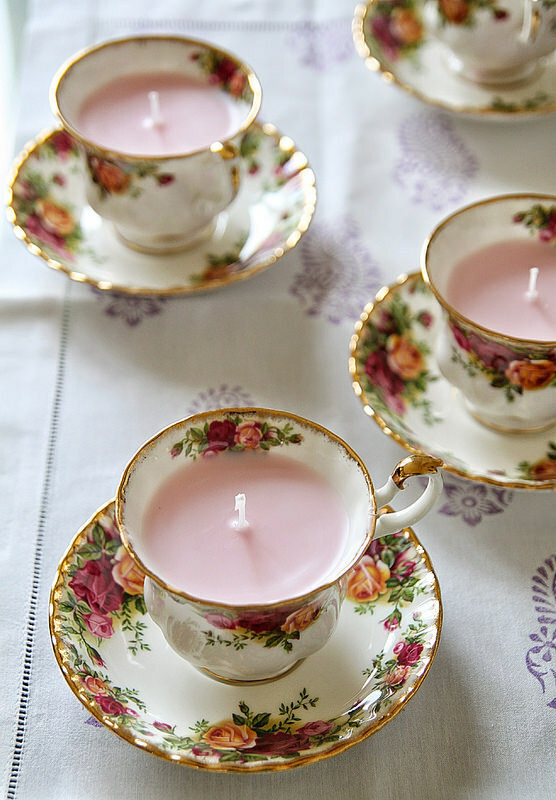 Literal tea lights. Tutorial here. 3. 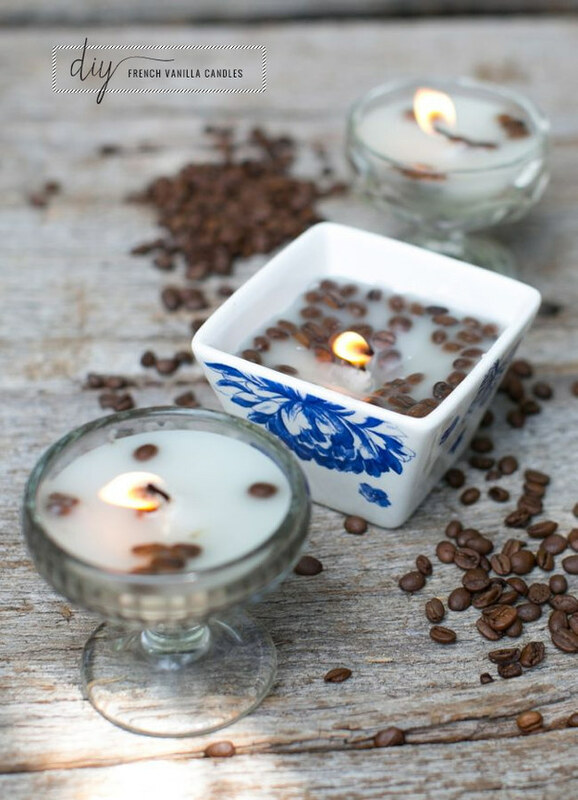 These candles made with vanilla and coffee beans. 4. This candle that looks sweet enough to eat.